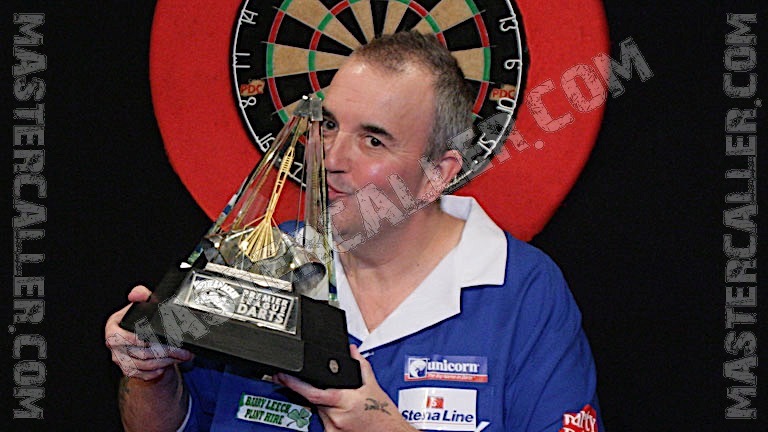 After 44 matches without defeat the inevitable happens on January 31, 2008; Phil Taylor loses his first match in the Premier League. Debutant James Wade wins in the opening game of the season with 8-6. When Taylor also loses in week three and four to Terry Jenkins and Peter Manley, the great champion is almost written off. This proved very premature because Taylor comes back better than ever. After week four, he concedes a draw once, but wins the remaining matches convincingly with averages well above 100 per throw. In the semi-final and final Taylor is unbeatable. Lewis loses the semi-final with 1-11 and Wade loses the final without a chance 8-16 against an inspired Taylor. Taylors average that day is over 110. Van Barneveld again loses in the semi-finals, this time to Wade. In the Premier League in 2008 there are only familiar faces, because the other four participants are Wayne Mardle, John Part, Adrian Lewis and Peter Manley.